Professional Digital Photography | Montizambert Photography Inc.
Soft-cover, 8 1/2 x 11″, 128 pages, 120 full-color photos. 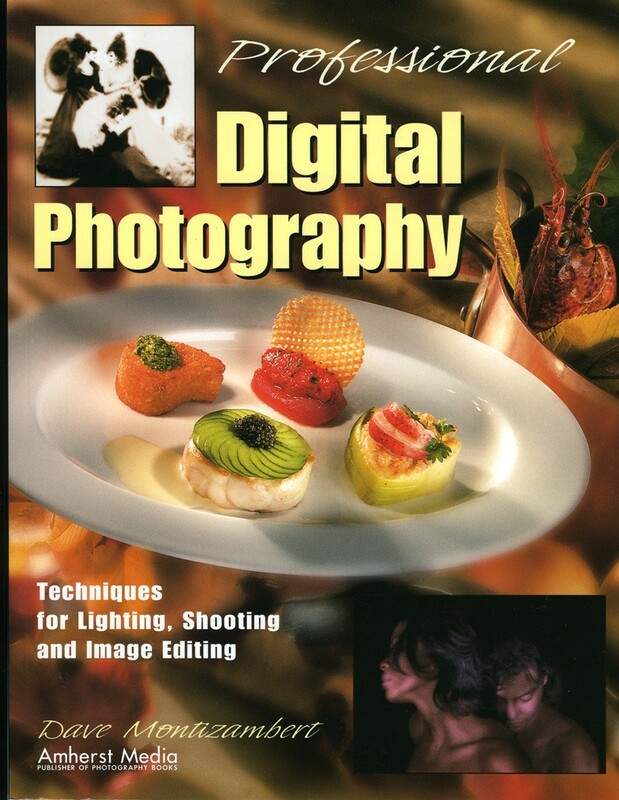 This book provides photographers skilled in basic digital imaging with the techniques required to take their images to the next level. Beginning with digital capture, Dave addresses the latest advances in technology, then provides techniques for color balancing your camera, exposure, and monitor calibration. Next, color and professional color printing are discussed, with techniques for making your images look their best in print. There is also step-by-step instruction on techniques for using Adobe Photoshop for color and contrast control, advanced sharpening, and applying professional artistic techniques. Finally, you’ll learn how the digital equivalent of light painting called Painting With Pixels can give you complete control of your images in Adobe Photoshop.